The Role of Heroic Stories in Developing Moral Leadership Wisdom by Daniel L. Orne, Ph.D. The scientific evidence suggests that humans began to communicate in simple words and gestures about 100 to 300 thousand years ago. About 10 thousand years ago, often gathered around a fire, we began to use our growing language skills to tell, to reflect-on, and to retell, heroic stories that both educated and inspired. Importantly, those fireside conversations clarified our collective wisdom about the search for meaning, about paths to success and failure, about vice and virtue, and even about the known, the unknown and the unknowable. For example, about 450 years ago our own Saint Ignatius emphasized the importance of contemplation and action. Similarly, about 100 years ago Mahatma Gandhi crystallized an idea that would be important in his journey leading India to independence. His idea, expressed by combining Sanskrit words for truth (satya) and polite insistence (agraha) roughly translates as truthfastness (Satyagraha). Applying that idea, Gandhi's strategy for action was wisely based on his observation that fueling every human conflict was different angles, on related underlying truths. Thus, always the challenge is to respect each other, to listen carefully to each other's positions, to reflect on the supporting principles underneath those positions, and then, and only then, to find -- through reflection, and respectful conversation -- the transcendent principles that should guide our collective actions. Later, about 50 years ago, Martin Luther King in the US, and Nelson Mandela in South Africa, would include (and adapt) Saint Ignatius’ and Gandhi's ideas in their equally heroic journeys. Unfortunately today, in a dynamic, interconnected world organizational leaders are often trapped in the permanent Whitewater of events with limited time and tools to reflect deeply on their challenges and choices. Unfortunately today, in a dynamic, interconnected world organizational leaders are often trapped in the permanent Whitewater of events with limited time and tools to reflect deeply on their challenges and choices. Also today, business professors frequently motivated by academia's common reward structure generally mostly remain on campuses, some distance from the Whitewater experienced by their practitioner colleagues. We believe this status-quo cannot continue. The reasons WHY this disconnect cannot continue seem quite clear to us. Consider the growing evidence of an imminent inflection point in human history: the exponential growth in human population and consumption, the near financial meltdown in 2008, the periodic challenges of containing Ebola in an interconnected world, the potential causes and risks of global warming, the growth of thoughtless fundamentalism in all forms etc. As a result, it is clear that now more than ever we need value centered leaders whose actions are driven by a concern for their organizations, society and the world. Adjusting in the chaos of a complex inflection point will require extraordinary skills in complex problem sensing, framing, and solving and it will require moral leadership. In turn, all of that will require wisdom. To find that needed wisdom to cope with this inflection point we must find ways to bring together those with the time and capacity for rigorous reflection, and those with the duty and capacity for relevant action. 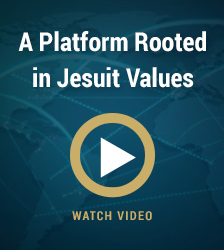 Fortunately, the Jesuit network uniquely has the intellectual capacity, the global reach, the moral authority, and the moral responsibility to host the global conversations that will make a difference. 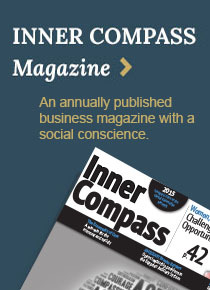 Our core idea is that it is absolutely essential that we find ways to encourage a shift in our mindsets. Shifts that will encourage professors to leave campuses and organizational leaders to get out of their permanent Whitewater. And then to periodically meet on the metaphorical shoreline to mutually reflect on the challenges and choices of organizational leaders, and to mutually create cases (infused with Jesuit values) that capture, and elevate the essence of those heroic stories. To use those cases as platforms for further conversations, to both educate ourselves, and to educate future generations. And to replicate this core idea, across the Jesuit Network of hundreds of Colleges and Universities thereby creating vastly more cases and conversations. Accordingly, in general our suggestion is: the Jesuit system should leverage its global network of bricks and mortar and people, and leverage our vast global collection of heroic stories, and leverage the power of the Internet to exponentially share content and conversation, to create a virtual entity -- with enormous potential inherent in network effects -- to educate and sustain men and women for others in service to the common good. In our view, it is axiomatic that we will need leadership wisdom to cope with an imminent inflection point in human history. This sort of leadership wisdom cannot be told in a lecture, nor can it be found by Googling, Binging or Yahooing, nor is it created by simply leading, in one context, at one period in time. Instead this sort of wisdom (discernment) almost always emerges gradually from the union of a range of organizational experiences, and sustained human conversation, coupled with deep personal reflection. 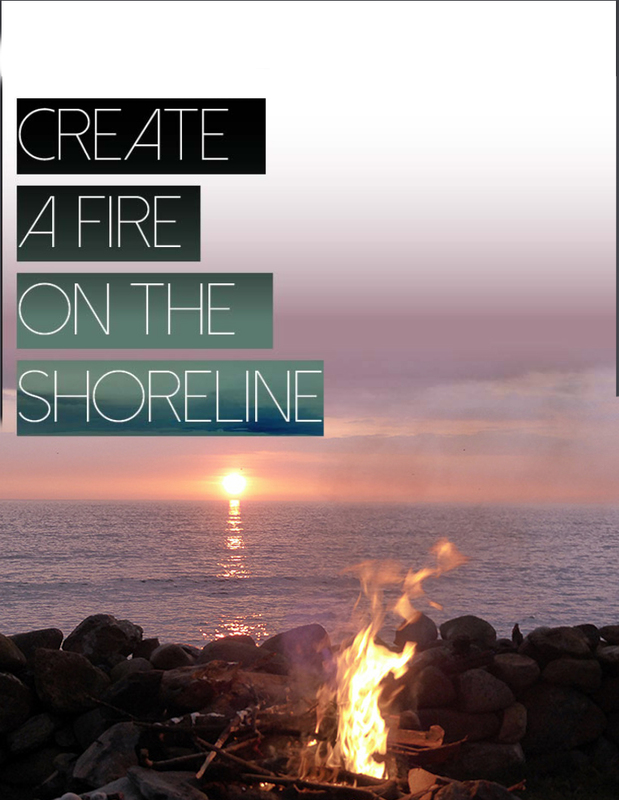 And so our proposal is that we embrace the wisdom of our ancestors, and periodically meet around a fire on the shoreline, and to take time, like they did to reflect and to talk deeply. That is where magic happens that transforms the world.